When you get the opportunity to go to South Africa to hunt, it is hard to pass up. Especially, if most of your hunting consists of hunting whitetails in the Midwest. Leaving the states, I was a little apprehensive about what to expect. Months of preparation went into this hunt. 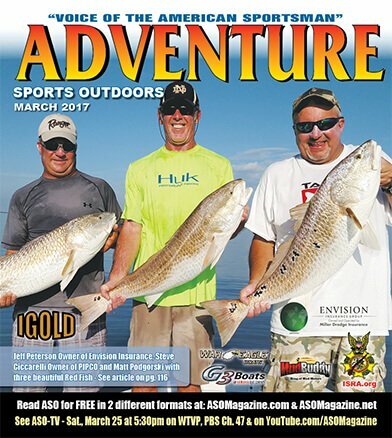 It began with finding the right PH (professional hunter) that would provide myself and friend, Derek Gray, the bowhunting opportunities we hoped to accomplish. After finding our PH, it was time to work out the dates and to find the right airline for the days we would need. Then after daily practice sessions with our equipment, and double-checking our gear on a daily basis, months later we were ready to head out on the trip of a lifetime for just about any hunter I can think of. 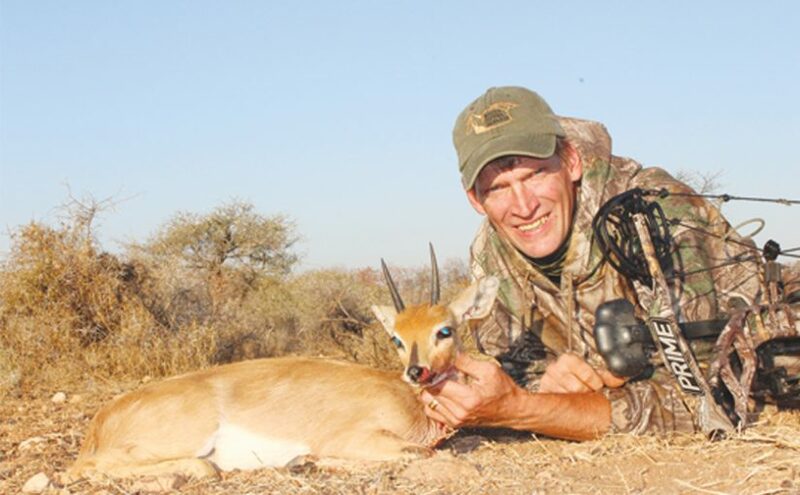 After many calls with references, we decided to book our hunt with Bayly Sippel Safaris. They had several concessions located throughout South Africa and could accommodate our desire to bow hunt. Our list of animals was not extreme to most veteran South African hunters, but to us, we were as excited as we have ever been about a hunting trip. Kudu, Blue Wildebeest, Impala, and Warthog were on the top of our list. But, we had the option to add to that if a particular animal showed itself and sparked out interest. Our first morning in the hide was perfect. With the sun shining bright, 60-degree temperatures, and calm winds, it seemed like a bowhunters dream. It did not take long for the first Impala ewes to walk in to get a drink. They were closely followed by some rams. In the distance Wildebeest could be seen working their way to our location. It was an easy decision to hold off on taking a shot at a nice Impala after a stud of a Wildebeest bull was spotted about 100-yards off. Within minutes, the Wildebeest were feeding and drinking within 20-yards of our hide. One mature bull stood above the rest (literally), and his coal-black face showed his age. As the herd mingled about, I kept my eye on the mature bull waiting for an opportunity at a good shot. The problem I was having was that every time I had a good shot, another animal would either walk in front or behind the bull, preventing a shot. Minutes passed, and finally I got the shot opportunity I was patiently waiting for. Pulling back my Prime Centergy bow, I instinctively nestled my 20-yard pin one-third up the animal’s body, right behind the front leg. With a squeeze of the trigger, my arrow hit home with a loud thud. With a kick, the animal bounded off, only to run 60-yards before coming to a final rest. The Rage Hypodermic proved its strength on one of the toughest animals South Africa has to offer. An hour into the hunt, I was on the board with an old bull with horns measuring 28 ½-inches across. After celebrating the kill and our trackers hauling the massive Wildebeest back to the lodge to be skinned, we returned to our hide to resume the hunt. The next couple of hours had many animals showing up to quench their thirst. Mature Kudu, Eland, Duikers, and even Baboons showed up. But, I was waiting for a mature Impala. At about 11 o’clock, we caught movement through the brush in the distance. Looking through our binoculars we were able to confirm several Impala were working their way towards us, including a giant my PH, Dempsey Bayly, quickly distinguished as a shooter. It did not take long for a shot opportunity to come my way. As the other impala went straight to the water, the one I had my eyes on decided to stand back and take things in first. With the ram standing broadside alone at 22-yards, I settled my sights on the mature animal and let the Rage fly home. The shot looked good, but not being able to see or hear the animal fall, we called in the trackers before moving forward. Within 20-yards, the trackers found a massive blood trail and followed it 75-yards into the brush where my ram was tangled within a tree. As it turned out, we could have found the ram on our own, but when in doubt it is better to call in the trackers than to jump a wounded animal and possibly not being able to find it. The mature ram had spiraled horns measuring 25 ½-inches, making it a trophy any hunter would be proud of. Returning to our hide, we had a ham sandwich lunch, and prepared for the afternoon lull that usually takes place between one and four in the afternoon. The afternoon lull I was told about lived up to its name. A few animals showed up, but nothing like we had experienced earlier in the day. Nor, were any of the animals of the caliber or species we were after. As things began to get a little busier at the water, Dempsey whispered to me a Steenbok was coming in. The small animal went directly to the water and started drinking. Having never seen this species of an animal before, I was ensured it was a trophy, and that I should consider shooting it even though it was not on my original list of animals I was after. Hearing Dempsey tell me it was a trophy, I quickly decided to take the shot. Ranging the animal at 24-yards I felt confident of my ability to shoot at that distance. My only concern was how small of a target I had and how skittish the ram was. Finally, I rested my sights on the small target and squeezed the trigger of the release. As the arrow hit home, Dempsey let out a shout, “Good shot, he’s going down”. Within 20-yards, I watched the mature animal take its last step before falling to the ground. Walking up to the animal, I was amazed at the size of the beautiful animal. The colorings in his face were gorgeous. As I ran my fingers through his coat, and ran my hands across his horns (4-inches), it hit me I just accomplished something many bowhunters would never get the chance to experience. Even though there were still a couple hours of shooting light left, we decided to end the day on an exceptional trophy. Waiting on trackers to come and fetch us, Dempsey congratulated me on taking my first animal of the Tiny 10. Most of us have heard of the Big 5, but I doubt many have heard of the Tiny 10. I was explained that the Tiny 10 is just as hard if not harder to accomplish than any other slam South Africa has to offer hunters. The Tiny 10 is a group of pygmy antelope residing in southern Africa. All of these antelope are extremely small; the largest specimens weighing less than 50 pounds. Now, I doubt I will ever accomplish the Tiny 10, but it is pretty surreal knowing I took the first step of doing something many hunters have been trying to do for years. Over the next few days the wind played havoc on our hunting. We still saw animals throughout the day, but they were few and far between. When they did show themselves, they were very skittish, and did not stick around long. Finally, the wind let up for the last two days of our hunt, and the action picked up. I entered the hide on the next to the last day of my hunt with the hopes of getting the opportunity at a big Kudu, but that soon changed when a massive Gemsbok showed. Looking at the big animal, even I could tell she was a mature, old animal that any hunter would be proud to take. As she made her way to the water bank, we noticed that her old age was evident through the loss of hair on her ears and legs. Her walk across the open ground showed many years of surviving the harsh conditions of South Africa, and she probably would not live much longer. As she stepped broadside at 20 yards, I worked to get my breathing under control before letting an arrow fly. When the time was right, I let my Carbon Express arrow fly. The Rage Hypodermic hit home with a thud. Red crimson blood flowed heavily as she ran out of sight. After waiting several minutes, we picked up the trail only to find her about 100 yards from where she was shot. Our first impressions held true as we closely inspected the massive animal. Her teeth were down below her gum line, she did not have a single hair on her ears or the back of her legs. The look on her face showed she had lived a long life that was quickly giving out on her. The next day of hunting would be my last and I still hoped to take a Warthog. The morning proved interesting as countless Impalas, Gemsbok and Duikers made appearances, but no hogs. Ready to take a short break from hunting during the afternoon lull, Dempsey called in our trackers to come and retrieve us. As they were approaching to pick us up, three Warthogs appeared out of nowhere. There would only be a minute or two before the truck made the bend to our hide, and the hog would be gone. It did not take much thinking to realize that if I wanted a hog that I had better shoot the biggest of the three that stood in front of me at short 12-yards. With bullet like accuracy, the arrow hit home. On impact, the hog let out one of the loudest shrieks I have ever heard, spun around several times, and finally dashed off. There was no doubt in our mind that the shot was dead-on, and the hog wouldn’t be far off. As we watched the hog crash off, the Toyota pulled up to retrieve us. Thankfully they were not just 30 seconds sooner, or I would not have had a chance at this hog. It was a short trail to the hog that was piled up about 50-yards from our hide. The warthog was not the biggest warthog, but he was a trophy to me, and I was as proud of him as any other animal I took on this trip. If you have never hunted South Africa, I recommend you do it. The only problem is that once you do it, you will want to do it again. On this hunt, I hunted with Bayly Sippel Safaris (www.baylysippelsafaris.co.za). Dempsey and Michael worked hard to put us on the animals, and to make our trip as enjoyable as possible. I used the same equipment that I do in Illinois for whitetails. The bow I used was a prime Centergy set at 60 pounds. I shot Carbon Express Maxima Hunter arrows tipped with Rage Hypodermic broadheads. This setup proved perfect for every animal I shot. I was a little worried going into this hunt that I needed something more, but every arrow made a good pass through shot causing each animal to expire within a short distance of the hide. Because all of our hunting was done from a hide, camouflage patterns are not as important as wearing something dark to prevent easily being spotted. I would recommend wearing a facemask and gloves to give you a little extra protection from easily being noticed. To protect my feet and legs from thorns and the possibility of a bite from a venomous creepy crawler, I wore Muck’s Pursuit Snake Boot. Luckily, they were not put to the test, but I felt better knowing I had that extra protection. I first thought this would be a once in a lifetime trip, but I’m already planning my hunt for next year. Be prepared to return to South Africa once you do it, there is just something special about the place that is hard to put on paper. Go check it out yourself to see what I mean.